Skin Needling: Scary or Sensational? We’ve been getting a lot of our clients asking about Skin Needling, they say Skin Needling sounds scary and yes the name can be a little daunting but Skin Needling is a procedure that can help with a number of skin concerns for both men and women. Skin Needling safely penetrates deeply into the underlying layers of skin to kick start the body’s natural wound healing response within the skin, producing and distributing new collagen. Skin Needling has been performed for many years, and can be used safely to treat a number of skin conditions and problems that affect us every day. The face is a common area for Skin Needling treatment however other areas of the body such as the hands, neck, back and chest can be treated. Skin Concerns such as Acne Scarring, Fine Lines and wrinkles, Sun-damaged skins, Scars, Stretch marks, Uneven skin tone, Pigmentation and Enlarged Pores can be treated with Skin Needling. Skin Needling is based on acupuncture and uses multiple needles that differ in size to accommodate the areas and concern being treated. Micro punctures that close instantly are created as these needles run along the surface of the skin. These microscopic wounds encourage the production and distribution of new collagen that will progressively fill in the scar, stretch mark, or wrinkle being treated. 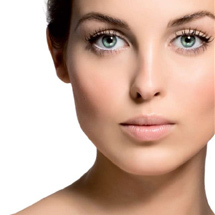 This Skin Needling procedure makes them less noticeable and in some cases they will disappear altogether. After a few weeks and then months after your Skin Needling Treatment you will see a vast improvement in skin tone and texture and with a few more treatments you will experience a reduction in fine lines, smoother skin texture and improved skin tone, reduction of scars and pitting and improved texture of stretch marks, depending on what you have had treated.